Welcome to My Homepage at Singapore Management University! I am currently on leave from SMU. This homepage may not be up-to-date. You can visit my new homepage here. I am a faculty member in the School of Information Systems (SIS) at the Singapore Management University (SMU). My research interests are Machine Learning, particularly in Online Learning and Deep Learning areas, for advancing Artificial Intelligence (AI). We have applied machine learning for real-life data analytics across varied domains, including multimedia analytics, computer vision and pattern recognition, web search & mining, social media, computational finance, cybersecurity, and mobile & software mining, etc. FoodAI™ offers the cutting-edge food image recognition technologies for advancing AI in food and healthcare, which is powered by the state-of-the-art deep learning techniques. Our existing solution is focused on Singapore local food markets. LIBOL is an open-source machine learning library that implements a large family of classical and state-of-the-art online learning algorithms for solving large-scale machine learning tasks towards a variety of emerging big data mining applications. OLPS is a research project that aims to study intelligent on-line portfolio selection strategies in computational finance by exploring a family of state-of-the-art machine learning techniques. SBFA is a research project that aims to tackle automated face annotation tasks by searching and mining billions of weakly labeled facial images freely available on the internet by leveraging state-of-the-art machine learning techniques. Dr. Steven Hoi is an Associate Professor in the School of Information Systems (SIS), Singapore Management University (SMU), Singapore. Prior to joining SMU, he was a tenured Associate Professor at the School of Computer Engineering of the Nanyang Technological University (NTU), Singapore. He received his Bachelor degree from Tsinghua University, and his Master and Ph.D degrees from the Chinese University of Hong Kong. 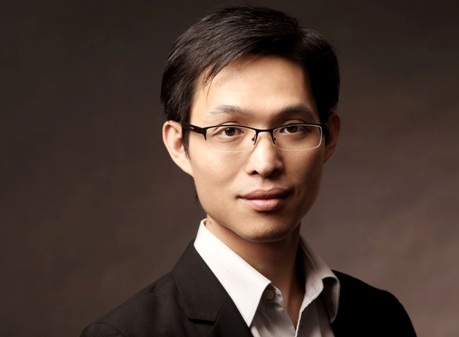 His research interests include machine learning (online learning, deep learning, etc) with application to several domains, including multimedia retrieval, computer vision and pattern recognition, web search and data mining, social media, computational finance, cybersecurity, etc. He has published 200+ papers in premier conferences and journals, and served as an organizer, area chair, senior PC, TPC member, editors, and referee for many top conferences and premier journals. He is the recipient of the Lee Kong Chian Fellowship Award due to his research excellence. Currently he is the Editor-in-Chief of Neurocomputing, Associate Editor of IEEE Transactions on Pattern Analysis and Machine Intelligence (TPAMI).